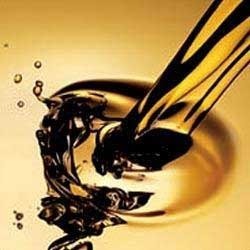 Manufacturer of a wide range of products which include hydraulic oil hlp and hydraulic oil antiwear. Hydraulic Oil HLP-ZF Type comprise a range of high performance hydraulic oils blended from solvent refined high viscosity index paraffinic mineral oils and zinc free ashless additives. Good thermal and oxidative stability provide reliable and extended oil life in severe applications with minimal deposit formation that gives cleaner system and reduced frequency of filter changes. Also these oils also have excellent water separation characteristics, hydrolytic stability and compatibly to seals normally used in hydraulic systems. Hydraulic Oil HLP-ZF are recommended for hydraulic systems requiring excellent anti-wear and superior oxidation performance with ultra fine filtration and compatibly with elastomer materials. Hydraulic Oil Antiwear are blended from highly refined base stocks with high viscosity index and specially selected anti-oxidant, anti-corrosion, anti-wear, anti-rust and anti-foam additives. These oils can sustain very high pressure of the system and high speed of the pumps, and compatible with the seals normally used in the hydraulic system. Hydraulic Oil (Antiwear) are recommended where long service life and a wide variety of industrial hydraulic and circulation systems are required. 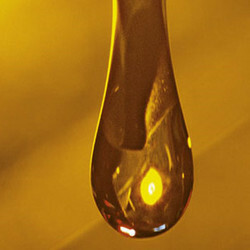 Looking for Hydraulic Oil ?